Equipped with the firm foundation of its parent company, Paramount Property Development’s 50 years of experience in the property development industry, Co-labs Coworking in The Starling Mall, Damansara Uptown is the latest co-working space added to the portfolio of the many others that have been mushrooming all over Klang Valley and beyond. With its first space launched in July 2017 at the Utropolis Marketplace in Glenmarie, the sophomore co-working space, launched but just one year after the first, spans 20,000 sqft, hosting up to 400 freelancers, Small and Medium Enterprises (SME), startups and even corporates at over 50 premium office suites and close to 90 desks, amidst lush greenery with accents of wood furnishing made from 200-year-old upcycled Chengal wood from an old shoe factory in Klang. Memberships at this premium co-working space starts from RM39 (daily pass) and RM199 (weekly pass), with additional facilities, such as nap pods, nursing rooms, hot showers, product photography studio, recreational games and arcade room, as well as mentorship and internship programs from its partner and tenant, FutureLab, a digital platform that connects enquiring minds like fresh graduates and aspiring entrepreneurs, to global mentors consisting of industry professionals and established entrepreneurs. Taglined “Where Amazing Happens”, in reflection of the fluidity in its co-working concept, in which members can experience co-working, collaborating and co-existing in a space that has boundless possibilities, Co-labs is already set to spread this so-called “amazing” through the upcoming co-working spaces in Klang Valley and beyond: one, which has obtained a Kuala Lumpur address in Platinum Park’s Capital Tower, right in the heart of the city; and the other, a second Shah Alam address, focusing more on tenants from the architectural, engineering and construction industries. How would you say Co-labs Coworking is different from the many other co-working spaces currently popping up around Klang Valley? In contributing to the ecosystem of this new work environment many co-working operators are in tuned to: we are building a platform to enable likeminded people to come together, and thrive together, as they get their work done, and much more. Consisting of brand partners, industrial tie-ups and community driven initiatives, we strive to uplift our members as much as possible through speaking events, workshops, extra-curricular activities like yoga classes, pottery classes… basically, a community in which any people can thrive in. That being said, Co-labs is the only co-working operator situated in a very advantageous shopping mall, whether it be The Starling Mall or Utropolis Marketplace. The amenities nearby have allowed us to push benefits and values for our members that other co-working spaces may not have the convenience to: We host frequent movie nights at MBO Cinemas just above us, as we work towards free gym memberships with Chi Fitness downstairs, as well as discounts at the over 400 restaurants at The Starling. We are always very strategic in the location we pick to go into for our projects; we’d much prefer not to go into distressed or not so central locations, where some of the other co-working spaces have set their bases. Instead, we opt for very central, mature business addresses with the full infrastructure for our tenants to succeed – not only for their business, but for their personal lives as well. Paired with the growing number of co-working spaces, not to mention the perks that come with each space, how would you describe the kind of working environment that we are stepping into in this new era? The workforce is rather more of a sharing community as a whole these days, and in moving forward, traditional offices might not be as relevant as they once were. New businesses operate on an asset-like strategy by leveraging upon outsourced talents, and for such a strategy to succeed, it requires a lot of collaborations and teamwork, not only within the company itself, but amongst different companies. It makes sense more and more these days being a part of a co-working space; you are a part of a greater community that allows almost instantaneous networking, making finding clients and hiring talents that much easier and seamless. Ultimately growing one’s business that much better. Co-working spaces are also more adaptable for the Millennials, who are joining the workforce now, as we speak. When it comes to work, they have vastly different work values compared to say, the Gen-Xers; they are the ones who want the work/life balance – to be able to do yoga after work, to have free lunches, or to have something like a gaming room to relax in between working. Being in a co-working space allows employees – not only the Millennials, but perhaps even the Gen-Xers – to realise and explore these lifestyle elements available. Wouldn’t you say it would be spoiling the Millennials, more than it is benefitting them, in the long run? (Laughs) I look at it differently. At the end of the day, the Millennials are going to be the ones driving the businesses in the future, and I believe that any progressive employer knows that they cannot operate in the same kind of policies when it comes to hiring Millennials. They have to react to the value system of the Millennials. In fact, big corporates have started to be more acceptable to co-working spaces as a solution to this; Co-labs is proud to host a big advertising agency in our The Starling address as its main office. Corporates are beginning to see the perks of being in a co-working space: other than the networking opportunities, it’s a way forward for them to integrate the business drivers of the future. With so many co-working spaces around Klang Valley as of late, would you say that operators might be over-supplying, more than it is in demand? I believe that the demand is there, for sure. I mean, just the fact that we can hit 90% occupancy within four months of our launch shows that the demand is there! 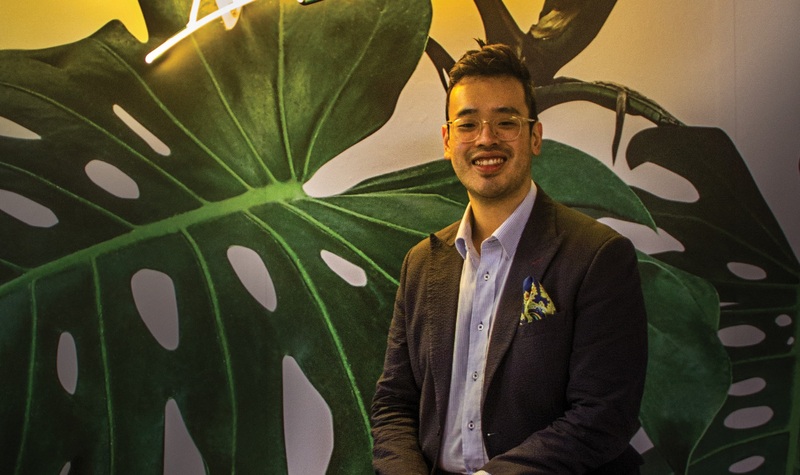 It is an untapped business venture, at least in Malaysia, and it works to the advantage of the people the co-working operators are serving: the likes of startups and SME. Basically, people who, traditionally, might have had an office in an outskirt location due to higher rental prices in more central areas. Not to mention, those who work out of cafes or their own homes, whereby they don’t have a legitimate business address to host their business, or the necessary facilities to do their business. Co-working spaces fill this gap, which will continue to grow as we move forward in the next few years. Not only that, we do away with something as basic as setting up a brick-and-mortar office. Startups rarely run on huge capitals during their initial stages, and we are able to take away all these headaches of dealing with contractors: in terms of the fit up and set up, we have handled that, and in terms of running a business on a day-to-day basis, there is no need to hire administrative staffs or even a front desk receptionist. There’s no need to even to worry about Internet or be concerned with who should keep the pantry well-stocked. Just come right in and get straight down to business! For those who have been running their companies fine before co-working spaces come into the picture, won’t you say that it is more of a luxury, rather than a convenience? Ultimately, I’m not going to lie: co-working spaces don’t work for everyone. For those that have set up their offices at home, it’s a give-and-take situation. A lot of people, including myself, find that they can’t work from home, because there are too many distractions. For the most part, if you were to come in to a proper office such as this, your productivity would increase as well. Not to mention, the additional perks and facilities that come with the price tag – be it access to members-only exclusive events, or gym memberships, things that you won’t get if you’re stuck working from home. Other than that, if the whole team is very introverted by nature, and you’re hesitant about being part of a bigger community, co-working spaces might not necessarily work to your advantage. But even then, Co-labs try to cater for that as well: we have designed quiet spaces where the “introverts” may come in to do their work with, the option of being part of a greater community or even something as superficial as riding on the member’s perks. We do try to provide all types of provisions for all types of businesses and companies, as well as people. Tell us more about the mentorship programs with FutureLab. One of the main concerns for any budding entrepreneur, is the lack of knowledge in a particular skill set that may help their company move forward. Whether it be finance or business planning, or even “new age” skills like digital marketing or coding, they are all very important in conducting one’s business. Our partnership with FutureLab aims to solve these problems and fill in these gaps. As a digital platform with a rolodex filled with global mentors consisting of industry professionals and established entrepreneurs, FutureLab gets to share these mentors with our members – meet with them and engage with them in fulfilling their goals in their business. Currently, it’s an exclusive members-only mentoring program, and it’s not open to the public. While the program has only been going on for less than six months, and is too early to bear the fruits of this labour, we believe that we are on the right track in creating an even more holistic ecosystem for all our members to thrive.